*Note: to avoid traffic jams at the locks, it would be expedient to have the brigade streamlined to do ‘one pass’ locking. To do this, several canoes will have to be portaged. This should be easy with all the helping hands we have available. Crews with 26’ canoes should think of packing for portaging. The portages around the locks are short, grassy and level, and low docks make it easy to get the canoes off the water and launch them again. Portage wheels will help,.If you use them, bring them. 9:00 AM: Crews who wish to depart from Kingston muster and organize to leave from Kingston Marina. see http://www.rideau-info.com/canal/paddling/watson-paddling-guide-01.html for details. 12:00 Kingston crews arrive at Rideau Acres Campsite by canoe. 1:00 – 4:00: Big Canoe Paddling Course. Participants who have registered with Max meet at the boat launch with paddle and life jacket. 2:00 PM: Rental canoes arrive. Crews using rental boats must muster with their captains and boats (36’ or 26’).Captains must ensure that they have paddles (+ 2 extra), life jackets, and required safety gear and repair gear for their boat. Crews help with unloading. This should take about 40 minutes. It may require a break in the big Canoe Course. Set up camp at Jones Falls lock station by the Stone Arch dam at the top of the locks. *note that there are two optional routes from Chaffeys to Newboro around Scott Island. Check your maps. For the very energetic, a side trip to Bedford Mills is a possibility to be discussed at the captain’s meeting. Lunch: en route (eg. Chaffey’s Locks)..very pretty, check out the Opinicon Hotel. You can buy ice cream cones here. 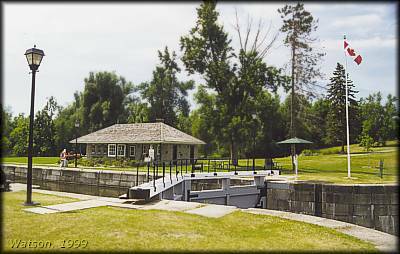 Highlight: Newboro Locks – the ‘top’ of the Rideau. It’s all downhill from here. Outdoor Presentation: Old-time Navigation Techniques, by the Surveyor General’s crew. Big Rideau Lake is the biggest lake on our journey, and it can get wavy, especially at the near Murphy’s Point PP. Good to paddle it in the morning. 9:00 Rideau Narrows Lock Station. We want to be here early to be acrosss Big Rideau Lake before the afternoon winds pick up! Lunch: Rideau Ferry has a restaurant! 2:00 PM: Welcome ceremony at Beveridge Locks. Pick up dignitaries. Supper; TBD.. many restaurants close to the water. Camping: Last Duel Campsite, Perth. 7:30 PM..paddle from Last Duel Park 1 km to the ‘Basin’ in the ;middle of the town of Perth. There will be a special welcoming ceremony there. We will paddle into the basin in an orderly parade of big canoes, circling the fountains in the centre of the basin in a clockwise direction one full circle, and then lining up facing the ‘Crystal Palace’ (this will become clear when we are there), while the town cryer and bagpipes and drums makes for a very special arrival. There may even be firetrucks. its up to us tomake this look good….even speed, even spacing between canoes…a big test of canoeing skills. June 27: Perth to Smiths Falls, 23 km, 2 sets of locks. Breakfast. On your own…lots of nearby restaurants. Afternoon activities: possible tours of the Swale led by us in our Big Canoes with Irish visitors. Super: provided by the town of Smith Falls! Evening presentation: History of the Rideau Canal, by renowned paddler, blacksmith and Rideau Canal man Don Mackay under the stars (weather permitting . Lunch: en route…Poonamalie Lock Station perhaps. Welcoming celebrations. Super: Community supper put on by the town of Smiths Falls. There will be fiddles! Evening presentation: History of the Rideau Canal, by renowned paddler, blacksmith and Rideau Canal man Don Mackay at the auditorium of the Rideau Canal Museum. time and place TBD. Camping: At Detached Locks, river left, just past the just past the abandoned railway bridge . There is overnight parking. 1:00 – 200 PM : arrive at Merrickville; lock through before setting up camp! Camping on grass at on north side of the highway. There is limited parking for vehicles at the park in Kemptville. Depart; 9:00 AM (there is still one lock to negotiate in the morning..or can drag canoes down on the grass. presentation by Noel on the aquatic life of the in the park. *We are within spittin’ distance from a great bakery! 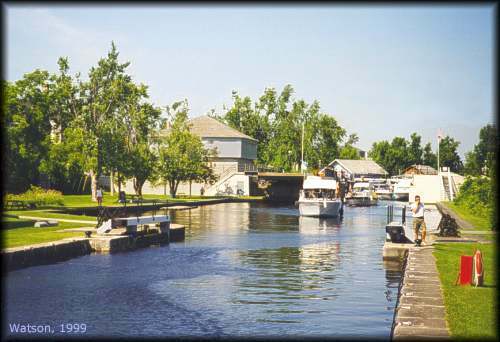 June 30: Kemptville- Black Rapids locks: 43 km 1 big set of locks! This is the Long Reach: The Long Reach is the longest lock-free stretch of the entire historic Rideau Canal Waterway. 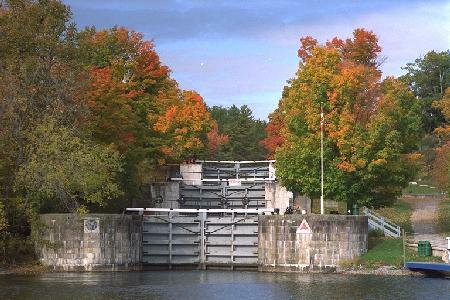 It extends from the lock at Burritt’s Rapids, to the locks at Long Island, just north of Manotick. Just before N120 there is a day-use park with some dockage, a launch ramp, swimming beach and picnic tables. Helen’s Place restaurant is located up a short lane. Other suggestions: Ice cream (or lunch or beer) stops at town of Kars (can paddle up Stevens Creek to a restaurant and picnic grounds), Becketts Landing, or Kellys Lnding )..depends on timing and weather. 5:00PM: Arrive at Black Rapids….lock through the next morning, or some canoes can be portaged. Presentation on Climate Change by Lin Kulkarni and Anita Payne on Citizen’s Climate Lobby, an international volunteer organization working to decrease greenhouse gas emissions. 6km to Rideau Canoe Club..there isan international sprint racing competition happening there. We are scheduled for a 500 metre race to the club on the course at 10:00AM. There are 10 lanes…volunteers to race are needed. Training can be done on the water during the week. Speak to Liz or Max top arrange training sessions. 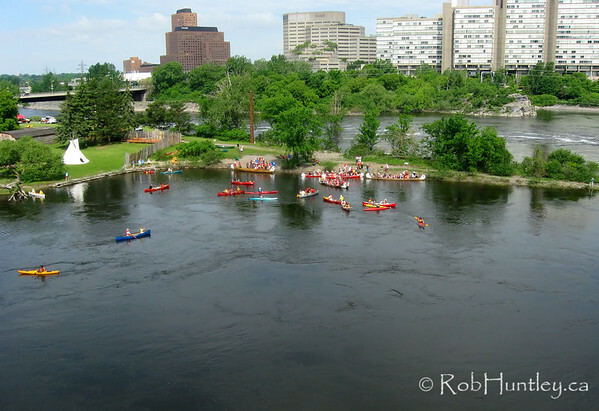 Arrive at Ottawa Locks: 1:00 PM – Everyone portages the locks..there will be thousands of willing volunteers to help carry the canoes., plus extra parks Canada staff to help. 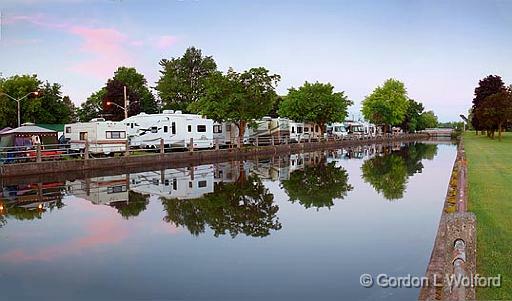 5:30 PM: depart for campsite at Gatineau Booms, about 4 km downstream in Point Gatineau. 10:00 PM Watch the fireworks! Other canoes can be picked up at the Blair Road Boat Launch, just downstream a few hundred metres.